Be at the forefront of communication evolution. mainstream operating systems, 3CX is highly suited to and compatible with any business. Developer of the award-winning software-based PBX, 3CX Phone System. 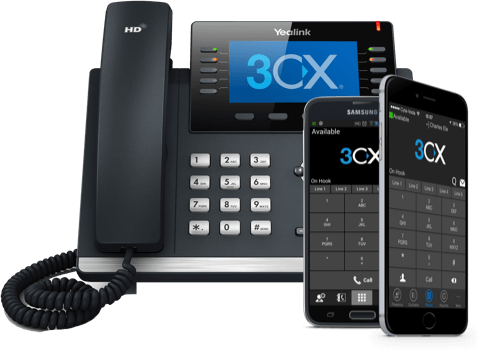 3CX offers a complete Unified Communications solution. 3CX Communication Systems work on mainstream operating systems. 3CX is a recognized technology leader worldwide. Seamlessly scalable and highly secure. Vastly reduced telco costs through VoIP-driven free in-office and inter-office calls. Highly affordable and convenient acquisition and installation on existing server infrastructure. Unprecedented video conferencing stability and clarity. Advanced queue monitoring ensures that a call is never lost. Efficient integration with all CRM & accounting platforms.